Do Nice Guys Finish Last? – Called. Convicted. Converted. Do nice guys finish last? I remember having a conversation with pastor and author Doug van Meter about this topic; at the time the question was formulated in my mind as ‘is there a difference between being a good man and being good at being a man?’ (he reflected on this subject here). One of the spins offs from this question naturally relates to romantic relationships. 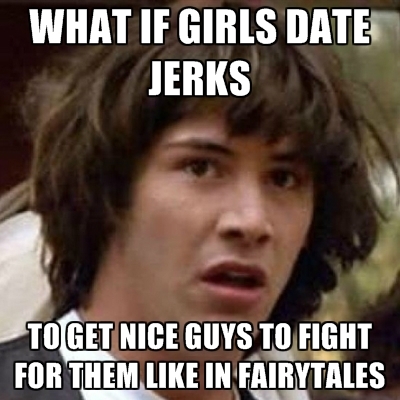 Do nice guys finish last but jerks get the girl? It seems strange that woman appear to prefer men who treat them badly. 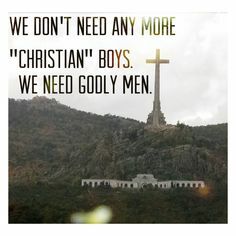 You’d have thought that they prefer good, true, honest, faithful men- you know, marriage material. Yet I’m sure we all know of cases where a woman seems to be attracted to the jerk. Now I don’t think this is true of all women, we need to leave room for some generalisation here in order to deal with the issue. The fact is, some women do want jerks. The real question is why. I think the first answer is prominence. Who was the guy who got all the girls in high school? Chances are it was often a jerk. What I mean by jerk is just someone who is really disagreeable personality wise. High School can be a great place for jerks. In High school prominence often comes from being a smart-mouth, being athletic or both. Humour at school is often at someone else’s expense, and jocks are not known to be the kindest people. The reason girls like prominence in high school applies to women as well. Prominence is related with a man’s ability to provide and protect. Just as the athletic guy projects an image of being able to protect, women today are drawn to whatever seems it will be able to protect and provide for them and their possible children, a command in fact prescribed in Scripture (1 Timothy 5:8; Ephesians 5:23, 28-29). Now if man is the head of the woman as described in Ephesians 5:23, and the idea of head contains in it the idea of nourishing and providing as well as leadership, then this was God’s design in the creation order. Now if the created order is men being the head of a home and women being a helpmate, and the other anticipating and excepting this- what would we expect this to look like in everyday life? Furthermore, what would these expectations look like after the fall? With sin having marred every aspect of our being, emotions and intellect included, how would those pre-programmed aspects of our creation manifest today? In today’s terms all this could mean money. 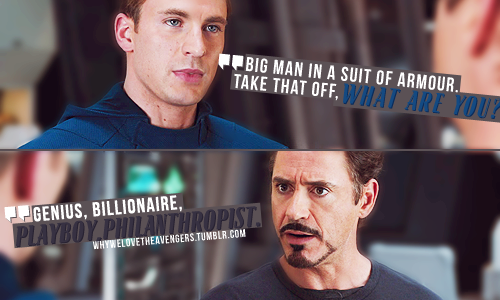 And Jerks have money. A series of studies have shown that ‘jerks’ average about 18% more than agreeable male peers[i]. It doesn’t mean that they are better at their jobs, but rather that they have no problem putting themselves or their own interests forward. That means more money. Nice guys are also good breadwinners, and as Paul said ,” So if we have enough food and clothing, let us be content” (1 Timothy 6:8). Men who are jerks generally are not good at relationships. Nice guys however tend to demonstrate their genuine care and attraction to a woman and back that up with behaviour. So what’s the take away for the nice guys? Well firstly keep being a nice guy, don’t buy into the idea that if you are more of a jerk you will have better success in romantic endeavours. Duana C. Welch, the psychologist I quoted earlier, wrote, “In reviewing 40+ years of solid science on long-term love, here’s what I know for sure: If you can find and be someone kind and respectful, your relationship will work well, and if you can’t it won’t.” And this is confirmed with so much of the Proverbs I don’t know where to start. Perhaps another take away will come back to the issue of being a good man versus being good at being a man. You are a good guy, but without being an all round disagreeable fellow, do you project the idea that you are a capable provider and protector (that doesn’t mean talking about guns and banking all the time)? Perhaps consider ways that you can demonstrate that you are a go-getter and an initiator. Do you portray the reality that you are good at providing and protecting, or at least are willing to do those things should the situation present itself? Perhaps you are not good at those things, then this is a good time to start exploring how you can grow in these areas. For more on this see Doug Van Meters article here.